Claude Monet was a legendary French painter who was a leading figure in the time of Impressionism (arguably the first avant-garde movement). His concerns with capturing light and natural forms were a key moment of the development art went through in the late 19th and early 20th century. 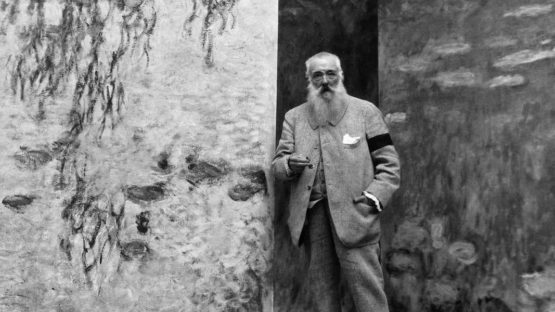 Although struggling with depression, poverty and illness throughout his life, Claude Monet managed to turn the course of art into a direction far away from the traditional, classicist norms all of Europe at the time held in high regard. This man is without a doubt one of the most influential and important painters in history. Oscar-Claude Monet was born on November 14, 1840, in Paris, France. His father Adolphe was a part of the shipping business run by the Monet family and his mother, called Louise, stayed at home and took care of the house and children. 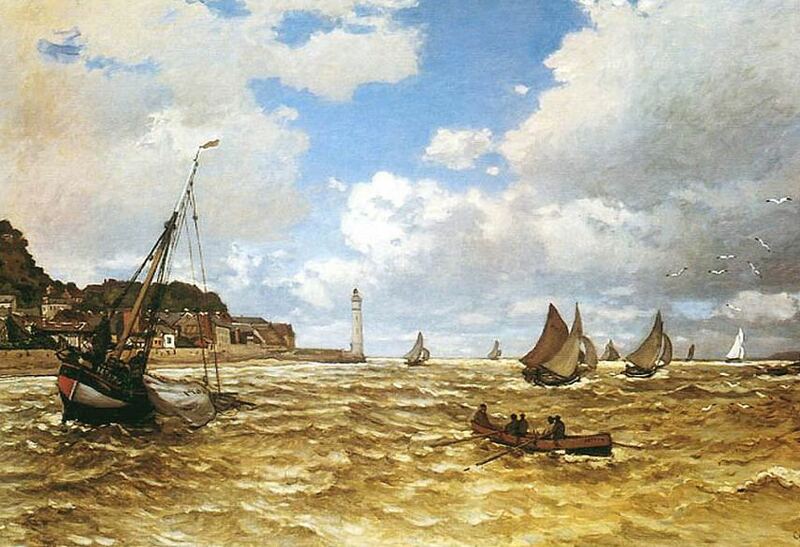 When Monet turned the age of five, his father’s business had the family move to Le Havre, a port city in Normandy. Although Monet was born in Paris, this small town by the English Channel was where he was raised. While still a toddler, he loved drawing caricatures and filled his schoolbooks with sketches. As he was growing up, he was spending so much time doodling that it actually started bothering his father, who wanted him to focus more on how the family business is run. Over time, Monet developed a reputation as a talented young painter of caricature. However, he did not find painting nature particularly interesting – at least until he met Eugene Boudin, a local landscape artist. 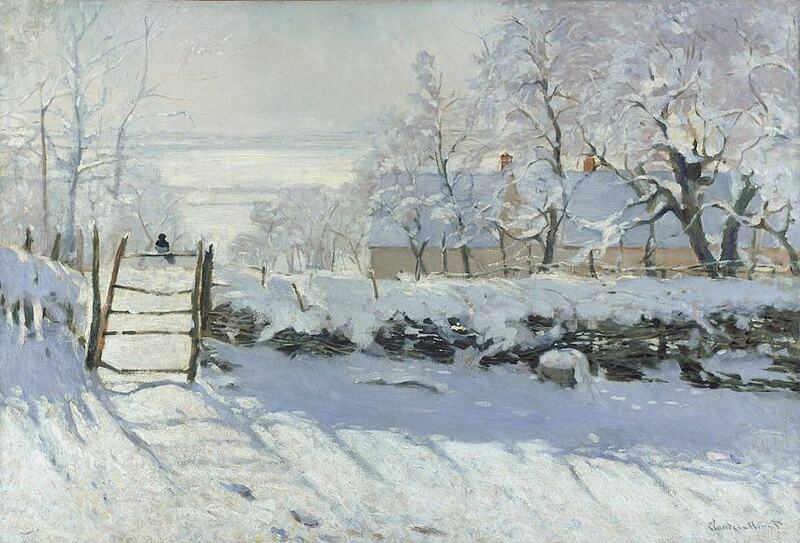 He introduced Claude to painting outdoors, or En plein air painting, which would later turn out to be the cornerstone of Monet’s work. Against Adolphe’s wishes, the artist decided he will not be going into the family business and that instead he will attempt to become a professional painter. 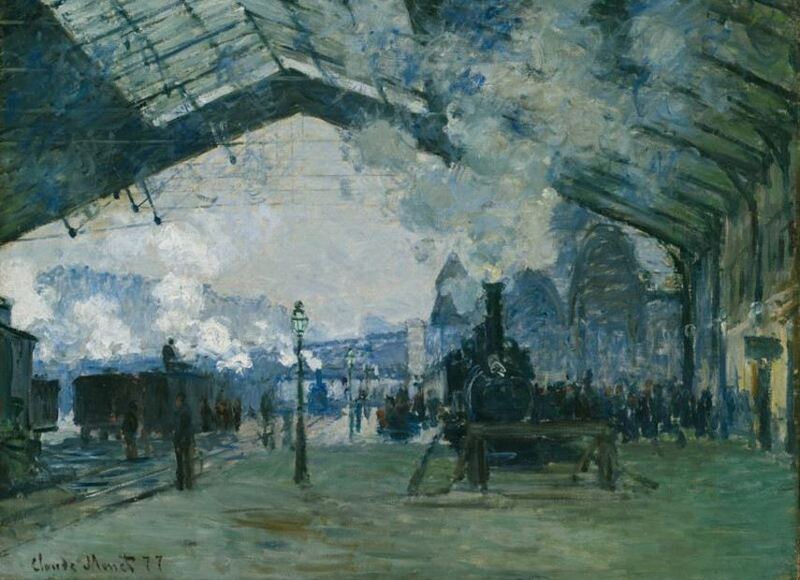 In 1859, Monet made a full circle and returned to Paris and enrolled as a student at the Academie Suisse. Monet went back to Paris and started to investigate painting as a medium, studying with Charles Gleyre – this relationship provided the opportunity for Monet to meet the likes of Auguste Renoir, Alfred Sisley, Johann Barthold Jongkind and Frederic Bazille, all of whom had a great role in forming the visuals of Monet’s work. After a couple of years spent learning and evolving, Monet managed to win acceptance to the Salon of 1865 where his paintings were supposed to be judged and ranked in an annual competition. The jurists choose two of his paintings for participation, both of them marine landscapes. This came at just the right time as Monet was starting to struggle financially. The next year, Salon yet again decided to let Monet’s work be in the competition. This time around, they wanted two of his paintings, another landscape and a portrait piece of Camille – Claude’s younger lover and future spouse. However, the growing artist was not making ends meet. Monet was unable to earn money to support both him and Camille, but the situation got far worse when they got a son, Jean, in 1867. Claude hoped his father will not yet again turn down his loan proposition now that Adolphe became a grandparent, but the bitter father was not to be backed down. A lucky break came in the shape of Louis-Joachim Guadibert who became the first patron of Monet. Monet and Camille married in June 1870 and were soon forced to flee over the English Channel to London, trying to outrun the Franco-Prussian War. After the war ended, the Monet’s returned to France but not to their old home – they settled in Argenteuil, an industrial town west of Paris. He never lost contact with his old friends, often exchanging letters with Renoir, Pissarro and Edouard Manet. They even banded together with a couple of other artists and formed the Société Anonyme des Artistes, Peintres, Sculpteurs, Graveurs which served as an alternative to Salon, a place where pieces of art were not forced to compete and were able to explore new expressive grounds. The things were not as bright as they may seem for Monet however, as he suffered from bouts of depression and self-doubt. After the Society had a chance to establish itself as a worthy notion, The April 1874 exhibition proved to be revolutionary for art history. 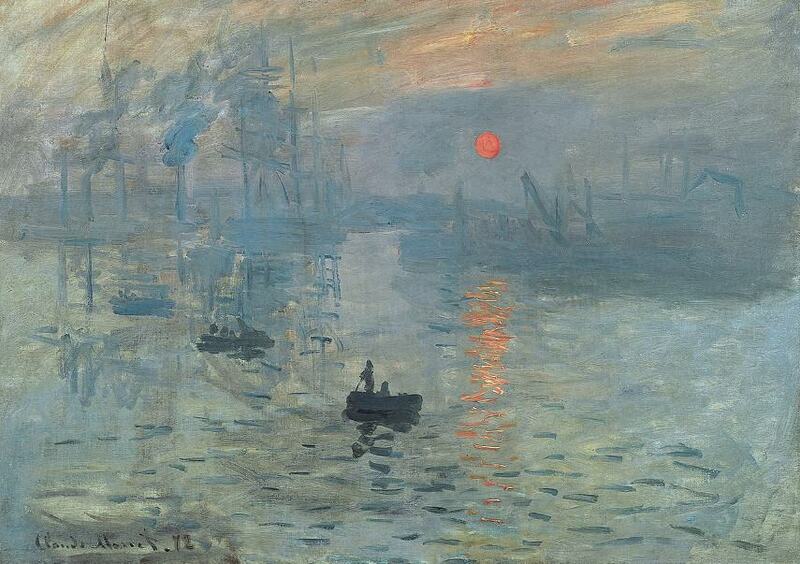 One of the paintings included was Monet’s Impression, Sunrise, a depiction of Le Havre’s harbor in a morning fog painted in 1873. The outraged Salon critics called this entire group of artists as Impressionists. This name was supposed to be an insult, implying that their pieces were more like sketches than finished paintings. While it was meant to be derogatory, the term seemed fitting to Monet who decided to actually use it as a title. 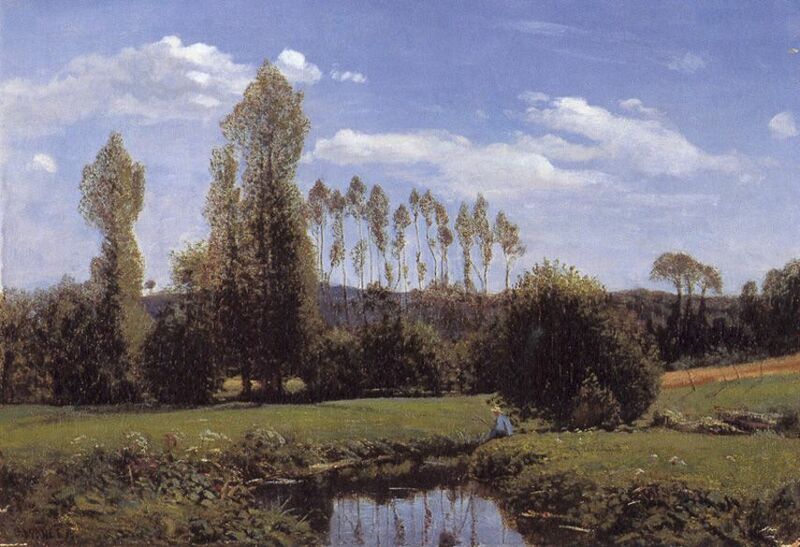 After his wife died from issues brought by the second pregnancy, Monet fell in love with Alice Hoschede. Alice had six children of her own and that made a household of ten people when counting Monet and his sons. They lived in Giverny, a place that would serve as a source of great inspiration for the artist and prove to be his final home. Here he loved to paint outdoors in the gardens that he helped create. 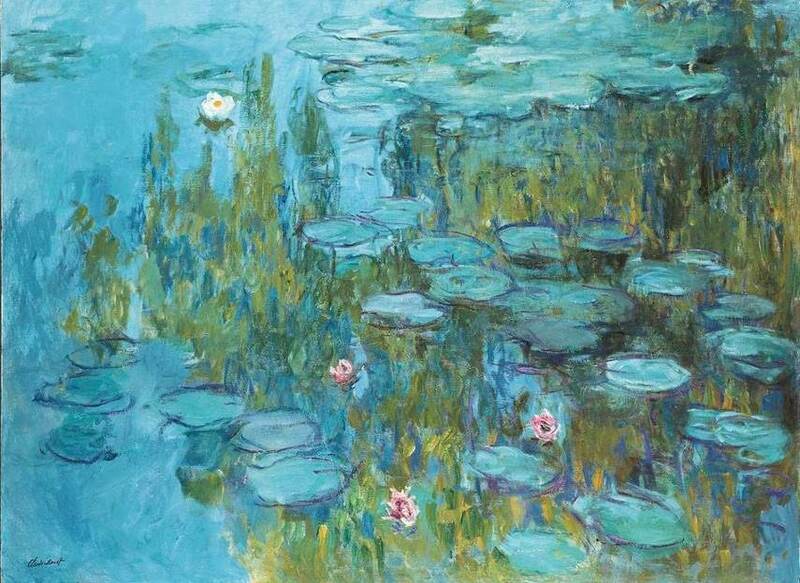 The water lilies found in the pond had a particular appeal for him and he painted several series of them. In the early 1890s, he rented a room across from the Rouen Cathedral and painted a series of works focused on this structure. The depictions showed the cathedral at different times of the day, as the light shining upon it varied depending if it was the morning, midday, evening or the night. Similar series followed, like the ones of haystacks and poplar trees. 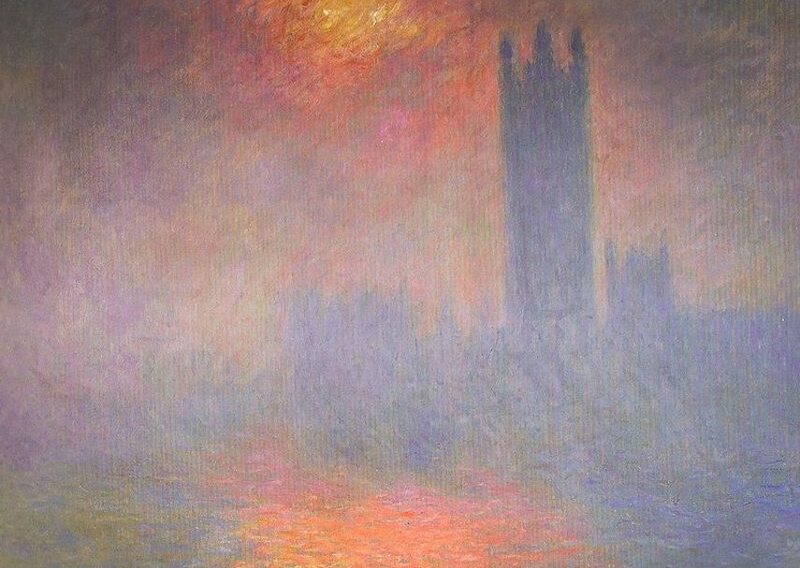 In 1900, Monet traveled to London, where the Thames River captured his artistic attention. In 1911, Monet became depressed after the death of his beloved Alice and the next year he was diagnosed with cataracts. During the time modern art was at it’s highest point, Monet was out of step and not participating. Nearly blind, with both of his eyes now seriously affected by cataracts, Monet finally consented to undergo surgery for the ailment in 1923. 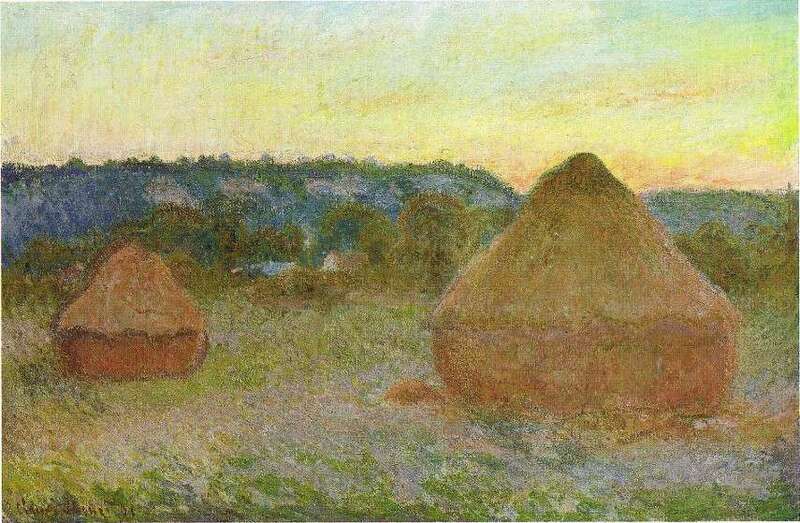 As he experienced in other points in his life, Monet struggled with depression in his later years. He wrote to one friend that: Age and chagrin have worn me out. My life has been nothing but a failure, and all that’s left for me to do is to destroy my paintings before I disappear. Despite his feelings of despair, he continued working on his paintings until his final days. 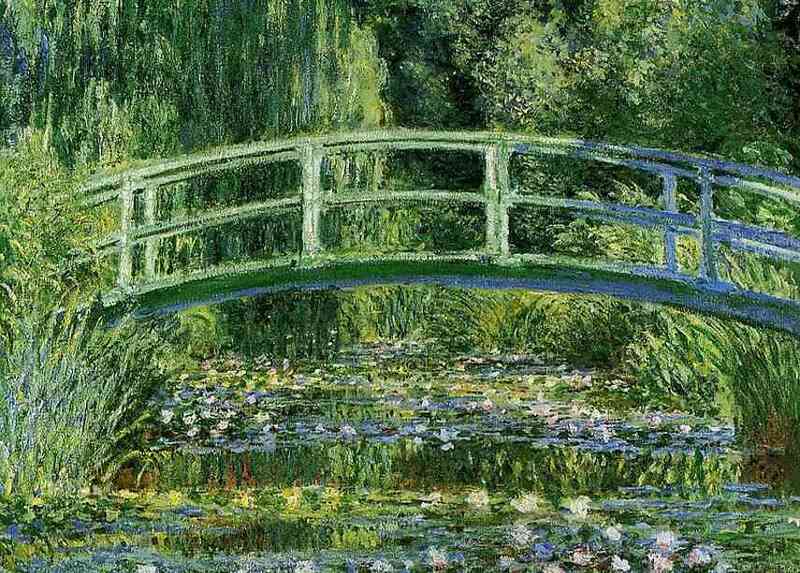 Monet died on December 5, 1926, at his home in Giverny. Claude’s career was full of self-doubt, so naturally he never wanted to acknowledge the impact he had on the art scene. He once stated: My only merit lies in having painted directly in front of nature, seeking to render my impressions of the most fleeting effects. Despite saying such a thing, it is obvious he has managed to accomplish much more than that. Shortly put, Monet helped change the world of painting by shaking off the conventions of the past. He got rid of the painting’s conventional form and it’s burdening rules that were eating the piece from inside out and by doing so he opened the door for further abstraction in art.